Hailey Finnegan of the Lassen Community College Rodeo team poses for a photo with her horse after winning second place in the barrel racing Saturday, March 23. The Lassen College men’s rodeo team traveled to Coalinga last weekend to compete in their second rodeo of the spring season. Cody Alexander led the charge for the Cougars, as the only team member to cover a bull in the entire region. Casey Moore had a great weekend as well, winning second in the first round of the steer wrestling and then finishing fourth in the overall average. Wyatt Spencer took eighth in the average of the steer wrestling, and also turning in a solid performance was Ray Mayo, who took fifth in the average in the team roping with LCC women’s rodeo teammate Jessie Preyer. “We have four rodeos remaining this season, and three bull riders in the top five in the state and two steer wrestlers in the top 10 with a chance to make the CNFR in Casper, Wyoming this June,” said head coach Dan Williams. 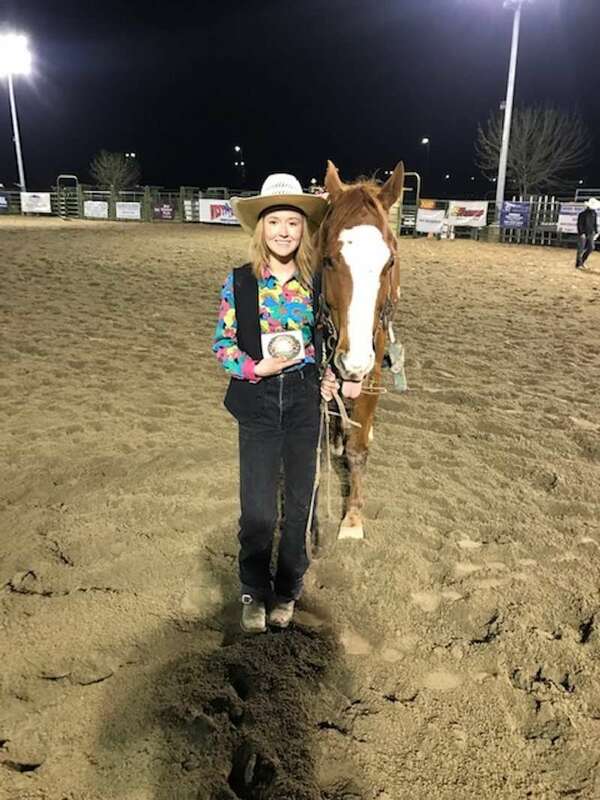 The Lassen College Women’s Rodeo team regained some momentum last weekend at the West Hills College Rodeo held in Coalinga, bringing home some top finishes. Lassen showed major improvements across the board. Freshman Hailey Finnegan led the team in points by winning second place in the barrel racing in the long go-round and coming back and dominating the short round, winning it by half a second. Lassen sophomore Jordan Gutsch made her mark as well in the goat tying event, winning seventh in the long round and finishing eighth overall. Gutsch also ended up 11th overall in the breakaway roping and the barrel racing events. 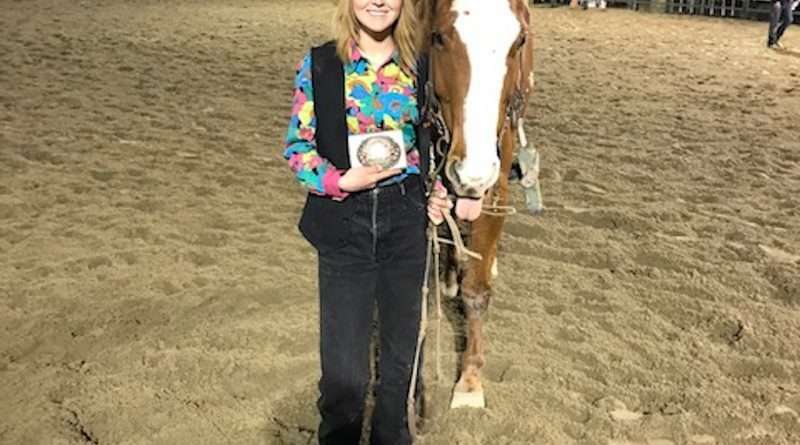 Lassen sophomore Jessi Preyer and her partner, Lassen men’s rodeo team member Ray Mayo, placed eighth in the long round of the team roping event and finished fifth in the average. “We still have four more rodeos left in our season, and we are sitting in good standing to take a full team to the College Rodeo Finals in Casper, Wyoming in June,” said head coach Suzanne Williams.